Just in case you are unaware, CFG is celebrating our 30th anniversary this year. While most anniversaries are a time to reflect and look back on what change has occurred, CFG has decided to use this opportunity as a way to look forward. While it is important to remember and reflex, looking at how the charity sector has changed to adapt to challenges and what challenges could be ahead is more important than when CFG started in 1987. For our 30th anniversary we have decided to focus on one of the most pressing issues facing charities (and beyond! ), which is fraud. Fraud costs the UK £193 billion a year, with the UK charity sector facing a loss of £1.93 billion alone. That is a substantial amount of money to lose. It will not be very surprising to anyone who works or volunteers with the charity sector to know that the sector is still struggling after the financial recession of 2007. With greater scrutiny, and a drop in public confidence over the last few years due to various charity scandals, charities have to be more careful than ever in ensuring that all income is used to support our beneficiaries. This is why CFG has decided to focus on tackling fraud. It is not simply enough to be aware of fraud and to know that it needs to be reported. Instead charities should be looking at ways of preventing ever increasing fraud. Fraud is not going to go away and our altruistic nature is not a natural deterrent. As we reported, the recent Ransomware attack on the NHS unfortunately, demonstrates that what your organisation does is in no way a deterrent to a committed criminal. With the sectors reliance on trust (one of the greatest aspects of the charity sector is the willingness among organisations to share and encourage each other) and with our perceived (often wrongly) amateur nature charities are considered soft targets while the private and public sector get more savvy against fraud. But do not worry if you’re wondering what you can do to prevent fraud. 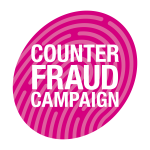 As part of our 30th anniversary counter fraud campaign, CFG is launching the Counter Fraud Pledge. This pledge both acknowledges the work that charities are doing to combat fraud and will guide your charity through the steps needed to prevent fraud. These are six measures that you can pledge your charity to take to be active in preventing and combating fraud, wherever it occurs in your organisation. Go to our pledge page and sign up to take the pledge. Once you have completed the pledge you will receive the counter fraud pledge badge which you will be able to add to your website to let your supporters and beneficiaries know that you are serious in tackling fraud. As we know, small charities can struggle to find resources and guides that are specially aimed at their unique and diverse needs. This is why CFG has produced two resources to help small charities tackle fraud. They should be read in conjunction with each other with the guide helping you to answer the questions on the checklist and produce a fraud policy. Though they have been written with small charities in mind, we encourage all charities of any size to read our guide and checklist if they want to learn how to tackle fraud within their organisation. CFG will be working over the coming months on numerous initiatives to help you combat fraud so make sure to stage in touch, through this blog, our website, Twitter and Facebook. We at CFG, feel very strongly that it is important that the charity sector works together to tackle fraud. We hope that you share this view and take the Counter Fraud Pledge.